Lilac is a plant of the olive family, brought in the middle lane of South-Eastern Europe. Cultivated as an ornamental shrub, but due to its healing properties quite often, the lilac is used in folk medicine. For the preparation of medicines used flowers, leaves and shredded bark of young shoots. Ointments and tinctures of lilacs is usually prepared in the flowering period. If the drug you need to cook at a later date, the components are dried in a well-ventilated, dark room. In diseases of the musculoskeletal system is most often used ointment from the buds of lilacs. To prepare the flowers dried and ground to the consistency of flour. This fragrant flour blended with equal amount of butter and put in the fridge for 10 days. The ointment is applied to affected area, bandage and leave overnight. Ointment for diseases of the joints will be more effective if it is combined with the ingestion of infusion of lilac. To cook 2 tablespoons fresh or dried lilac flowers pour boiling water, 200 g. Insist 1-2 hours, then strain and take 50 g of infusion 3-4 times a day. In the treatment of dry cough with colds or bronchitis infusions of lilac help to facilitate sputum discharge. The infusion is made from 1 tablespoon of flowers and leaves and 250 g of boiling water. Accepted infusion 2-3 tablespoons 4 times a day. When starting a migraine fresh leaves of lilac cool in the refrigerator and secured on the forehead with a bandage. Such procedure is carried out several times during the day. Varicose veins the legs steamed in a warm bath and wrapped with leaves of lilac. For treatment you can use small chips of the young shoots or a saturated decoction of the leaves. These properties of lilac are used in folk medicine in the treatment of trophic ulcers, minor wounds, inflammation of the throat. Ulcers or wounds fresh leaves or flowers are crushed to mushy state and apply to the affected places. For the treatment of inflammatory process in the throat use gargle infusions. The smell of lilacs is successfully used in aromatherapy to improve emotional state and mood. The scent of white lilac increases sexual desire. 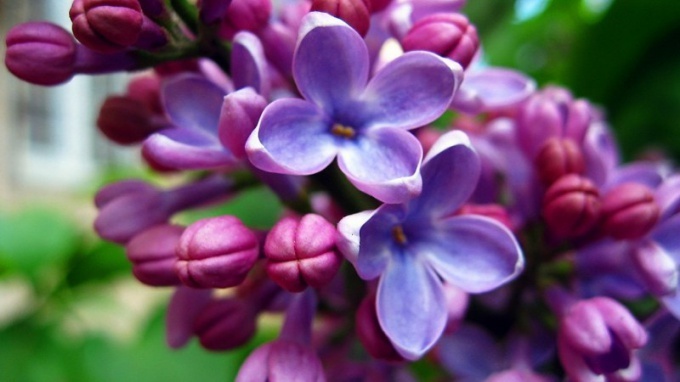 The flowers of the common lilac have to skin cleansing and anti-inflammatory effect. Masks of fresh flowers reduce the oiliness and help with enlarged pores. The infusion of white lilac add in the preparation of masks from clay or used as a lotion after cosmetic procedures. How beautiful is blooming lilacs! These are resilient, wonderful fragrant bunches of issuing such a dizzying aroma that the heart is filled with joyful anticipations of a speedy change, and, perhaps, new love. Spring! Only after the blossoming of the lilac, it is clear: winter is not coming back, her time is gone forever, it's time lilac! But lilac is not only a beautiful plant in itself, it is also extremely useful. Lilac flowers and fresh and dried can be brewed and used as a natural febrifuge, diaphoretic. In flowers and leaves of lilac distinct antimicrobial, anti-inflammatory, anticonvulsant and analgesic properties. It will help with any form of diabetes will stop and will restore blood with uterine bleeding. While bronchitis, asthma, pneumonia, catarrh, tuberculosis – the first assistant. Align heart tones, get rid of the sciatica, and restore the menstrual cycle. A cold? Drink warm milk with a spoon lilac jam! How to cook this miracle remedy? 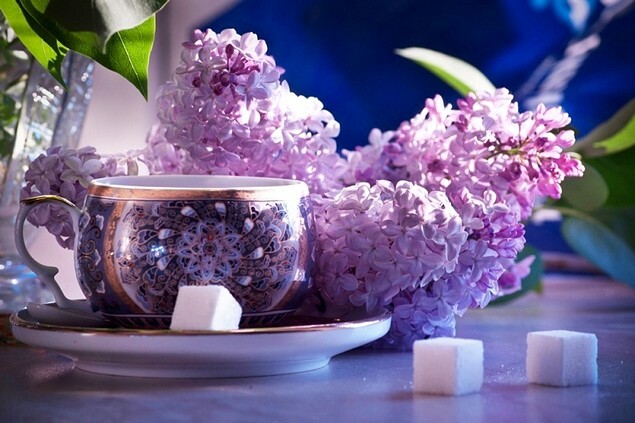 For 1 kg of flowers of lilac take 2 cups sugar, 2 cups water and a lemon zest. Gather the blooming lilacs, carefully wash the brush under running water, fill with boiling water and cook for 10 min. Now add sliced half a lemon, cover with a towel or cloth and allow to infuse for half an hour. After 30 min. take out of the brush, in the resulting infusion add the desired number of sugar and ovarium weight on very low heat for about 20 min. Removed from the infusion bunches rubs 5-10-th drops of lemon juice and dip in "lilac soup" for 5 minutes until tender. Ready jam pour in the prepared banks and roll up like any other jam, whether it's cherry or strawberry. Banks turn over and cover with a towel, waiting until the jam into jars to cool completely. The jam turns out fragrant, delicious and very healthy! Helps raspberry not worse, and certainly better pharmacy chemistry. By the way, the leaves of lilac no less useful than the flowers. Brewed as tea, they will help with malaria, diarrhea, stomach ulcers and whooping cough. Very useful leaves, it is a pity that they are not so tasty as the jam of the colors of lilac, harvested in the winter! Don't want purple jam? Sorry. Then at least collect lilac branches with blooming brushes brooms and dry, by placing in canvas bags cuttings up. Winter, frost, it's so nice to brew a Cup of tea, and lilac, with lilac scent of spring, to smell the lilac of hope!